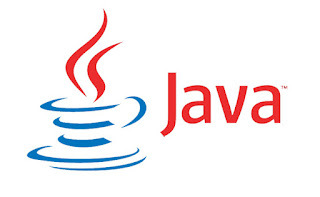 Naveen AutomationLabs: How Much Java you need to learn for a good Selenium Scripting ? How Much Java you need to learn for a good Selenium Scripting ? As far as Selenium is concerned we have our SeleniumHQ Site with frequently updated documentation we can go through that to get the selenium concepts much strong also there are many blogs on selenium wherein you can get to learn from the basics even this blog is one among that, when considering the Language based client drivers if you use Java then here are some Java topics that you need to know for a better understanding and good selenium scripting. Great article. Its quite interesting. The content looks strong and informative. Thanks for sharing. Can you share Important Java Programs for Selenium Testing Interview(Experienced Level) and real time scenario for Selenium Framework. Good one to read.. Thank you. Your blog is really useful for me. Thanks for sharing this useful blog..
Hi Naveen. Now a days I see companies are asking about Java 8, what new features it introduceed and its implementation in project. I have an experience where this question was asked in two interviews. Though I tried to discuss with them that as a qa engineer, I am not sure if I need to know or work with such thing but they were saying as you work with java you should work on this. Please let me know your thoughts. Do you think this topic is worth to be taken as or in one of your videos. Your blog information is totally inspiring me. Make sure, every developer is looking for this kind of valuable facts to develop their career. This is excellent for those who want to learn selenium script. Hi I just roamed google with a search for good automation testing blog and I ended up here again. Interesting post this is really helpful for me. I like it. Thanks for sharing. Thanks for the useful information. Your post is very benefit information for me.